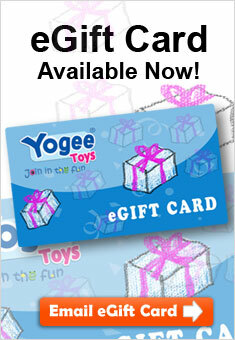 Yogee Toys has something for every crafty boy and girl! Kids of all ages will be busy with all sorts of crafts and art projects. Pliable Play-Doh and fun accessories let kids sculpt all sorts of shapes! Kids can make jewellery with AMAV bead sets, or learn new crafts and art techniques with Klutz books. Girls can make their own glittery make-up with GALT, or jewellery and accessories. Basic and advanced art supplies by Crayola and Hunter and Leisure give your child creative freedom. Your child has tons of possibilities with great crafts from plenty of brands on Yogee Toys!